With our online and mobile ERP you can collect and view all of your business information in a synchronized and safe online environment. You can access this information from your PC, smartphone and tablet, even when you don’t have an internet connection. You can also use STEL Order to manage your product catalog as well as your current and potential clients using the online CRM feature. You will also be able to create estimates, sales orders, delivery notes and invoices using your smartphone and tablet, as well as using these devices to collect signatures from your clients. You will also have access to your supplier information and your purchases and expenses. The online calendar also enables you to plan your day to day tasks and to generate management reports for your business. Learn more about our online catalog feature. Carry around all of your client and potential client information thanks to STEL Order’s online and mobile CRM: where they are based, points of contact, email addresses, how much they owe you, when and what the bought from you, pending documents, events and much more. Learn more about our online and mobile CRM. Our online and mobile management software allows you to sell your products wherever you are. You can use STEL Order to create all of the documents that are involved in your business and sales operation. 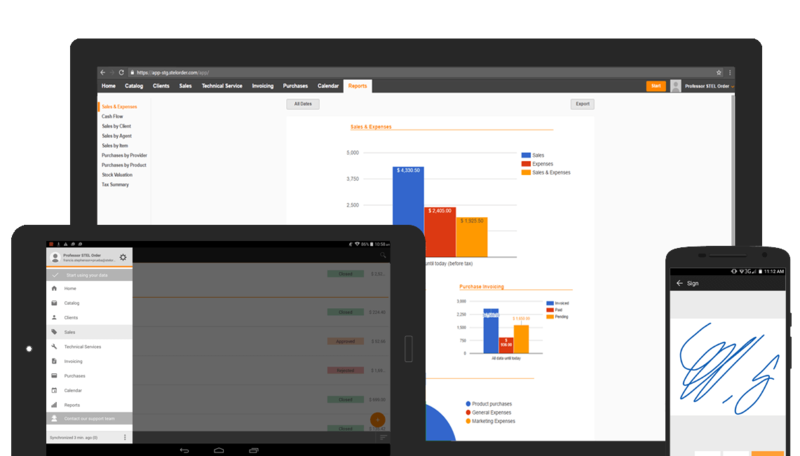 Create estimates, orders, delivery notes and invoices with your PC, smartphone or tablet. Learn more about our sales management software. Manage incidents and notifications or create delivery notes, work orders and checklists which can be signed off by your clients on your own smartphone or tablet. You can also manage preventive maintenance tasks using the online calendar to schedule events. Find out more about our technical and maintenance software. You can use STEL Order to create invoices with your phone, tablet or from your PC as well as being able to send them instantly. Customize your invoices and find out in real time when your clients receive and read your invoices, estimates and other documents. 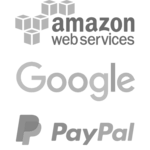 Find out more about online and mobile invoicing. Manage your expenses and purchases with STEL Order. You can organize and manage your suppliers, purchase orders, delivery notes, purchase invoices and other expenses wherever you are. Learn more about how you can optimize your purchases and expenses. You can use the STEL Order online calendar to create a fully functional event center with shared tasks. Create different types of calendars and share them with your colleagues to improve communication within your business. Learn more about our online calendar. You can generate accurate management reports at any time that include details of your business operations, such as profit reports, cash flow reports, sales by client, sales by employee, sales by product and tax reports. Learn more about management reports.